Yesterday I started another read-through of the Yarn Harlot’s blog. This is a really bad idea for many reasons, mostly linked to my responsibilities as wife, mother and office-holder, plus the undesirability of prolonged sleep-deprivation, the twitchiness of my left eye and the lack of any real plan for work tomorrow. Still, here’s a lovely box of wool that is gradually turning into a blanket. The colours are much more vibrant than this in real life. I also have a deep urge to cast on something big and complicated in laceweight wool. 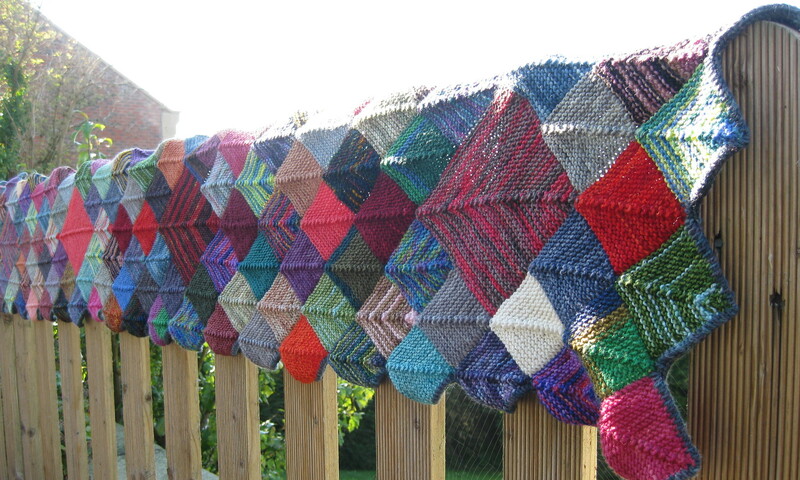 It is possible that the Yarn Harlot’s attitude to life and knitting is somewhat catching. I’m hoping the read-through won’t be a complete one. It was ok the first time because she had only been blogging for 4 years. Now it is 11 years. 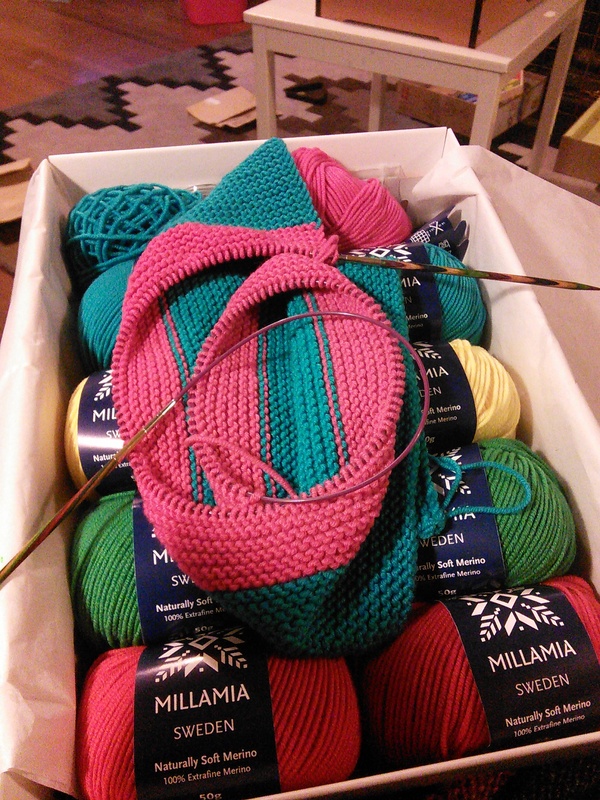 The colours in the lovely box of wool are indeed lovely. In fact, gorgeous. Bet it’s all lovely and squooshy too. I have never attempted to read the whole of the Yarn Harlot’s blog, so good luck! I keep blog reading as a treat if I get time to have lunch at work, so I get 20 minutes of fun reading about knitting etc – would something like that work so you don’t end up staying up all night? !